Applicants are invited to apply for a PhD scholarship at Lund University. The funds for this fellowship are available for 4 years. Candidates are welcome before January 31, 2019. Malm Theatre Academy, located in the centre of Malm's creative Mllevngen district, is part of the Malm Faculty of Fine and Performing Arts at Lund University. The Academy is a place of study or workplace for more than 100 people. The education assignment is 60 full-year places in the form of freestanding courses and first, second and third cycle programmes in theatre. Malm Theatre Academy aspires to be a leading educational and research department in the field of theatre as well as a relevant and open platform in Malm. We offer particularlypromising and motivated students and researchers a clearly profiled and international environment that prepares them for a challenging and changing profession. Artistic research highlights the combination of perspectives on artistic practice, artistic knowledge development and artistic learning. The participation of the doctoral students in the department's breadth of activities is an essential part of the development of the department's collective knowledge environment. In practice, this means that the doctoral students are to take part in the department's meetings and actively to contribute to knowledge development. This entails a requirement for regular attendance and presumes in principle that the doctoral students live within commuting distance of the academy. The department has the right to require the doctoral students' active participation in the teaching offered. Within the framework of the position, to conduct research studies leading to a doctoral degree in theatre. Besides the obligation to dedicate themselves to their own research studies, doctoral students may work to a limited extent on education, research and artistic research and administration pursuant to Chapter 5 Section 2 of the Higher Education Ordinance (1993:100). This type of work requires regular attendance at the academy. Only those admitted to a third cycle study programme may be employed as doctoral students. In connection with their application, applicants are to present their intended research project in a research plan. The plan is to include a project description and an outline of the implementation of the project. The grounds for selection among the candidates are the applicant's qualifications at the time of application. After an initial selection, interviews will be conducted with the most qualified applicants. If necessary, the admissions board may request additional documents. The fact that an applicant's previous studies or professional activities are assessed as transferable credits for the research studies programme is not to give that applicant any precedence over other applicants in the selection process. Provisions for employment as a doctoral student are set out in the Higher Education Ordinance (1993:100). In the appointment process, the main emphasis is to be on the applicant's ability to benefit from the research studies programme. The basis for selection among the applicants is their qualifications at the time of application. After an initial selection, interviews will be conducted with the most qualified candidates. If necessary, the admissions board may request complementary documentation. Applicants only applying for admission to research studies, without employment as a doctoral student, are in addition to attach a certified study finance plan for the entire period of study (maximum 4 years in case of full-time studies and maximum 8 years at half-time rate of study). Interviews are planned to take place in March 2019. 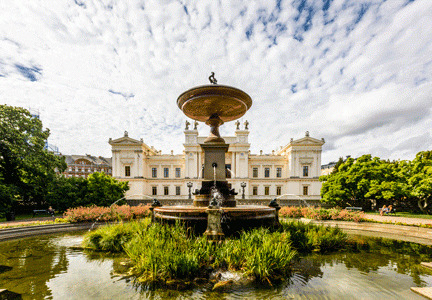 We encourage candidates to apply electronically via the Lund University applications portal. Complementary documents, in the form of bound publications/equivalent are to be sent to: Faculty of Fine and Performing Arts, Lund University, Box 8084, 200 41 MALM. The registration number is to be stated in connection with documents sent by post. The application is to contain a CV and other documents the applicant wishes to highlight for the current appointment. Form of employment: Fixed-term employment, for a maximum of four years at full-time study rate.